Loose Change (2005, 2006, 2007) is a series of documentary films written and directed by Dylan Avery, produced by Korey Rowe and Jason Bermas and distributed by Mercury Media International. The films assert that the September 11, 2001 attacks were planned and conducted by elements within the United States government, and base the claims on perceived anomalies in the historical record of the attacks. The first film, Loose Change, was originally released through the creators' own company, Louder Than Words, and received wide spread attention after Loose Change 2nd Edition was featured on a Binghamton, New York local FOX affiliate, WICZ-TV (FOX 40). The original film was edited and re-released as Loose Change: 2nd Edition, and then subsequently re-edited again for the 2nd Edition Recut, each time to tighten the focus on certain key areas and to remove what the filmmakers have learned to be inaccuracies and copyrighted material. 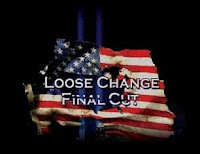 Loose Change: Final Cut, deemed "the third and final release of this documentary series" was released on DVD and Web-streaming format on November 11, 2007. This installment is a completely new film; using almost none of the same content appearing in the previous Loose Change versions. Loose Change Final Cut is the third installment of the documentary that asks the tough questions about the 9/11 attacks and related events. This movie hopes to be the catalyst for a new independent investigation, in which the family members receive answers to their questions, and the TRUE PERPETRATORS of this horrendous crime are PROSECUTED and PUNISHED.